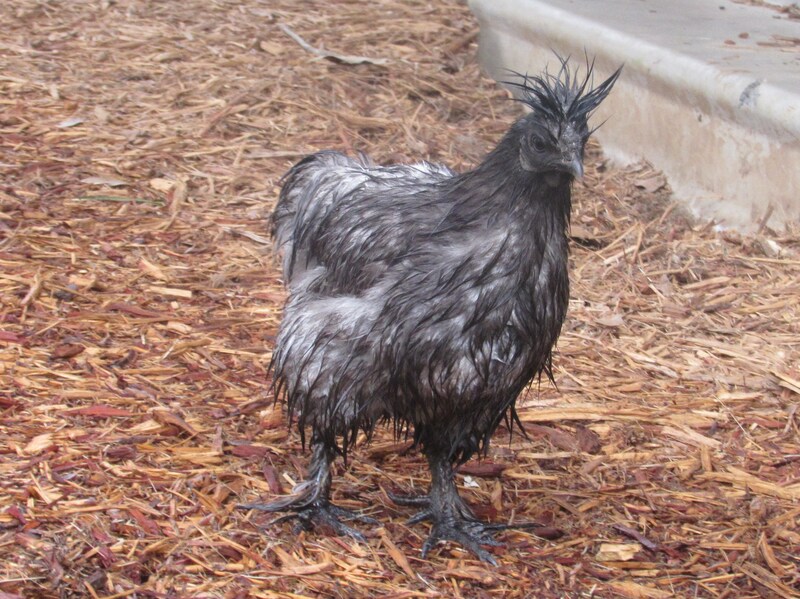 Wet chicks mean we got some much needed rain here in Maydelle, the silkies however don’t fare so well….. 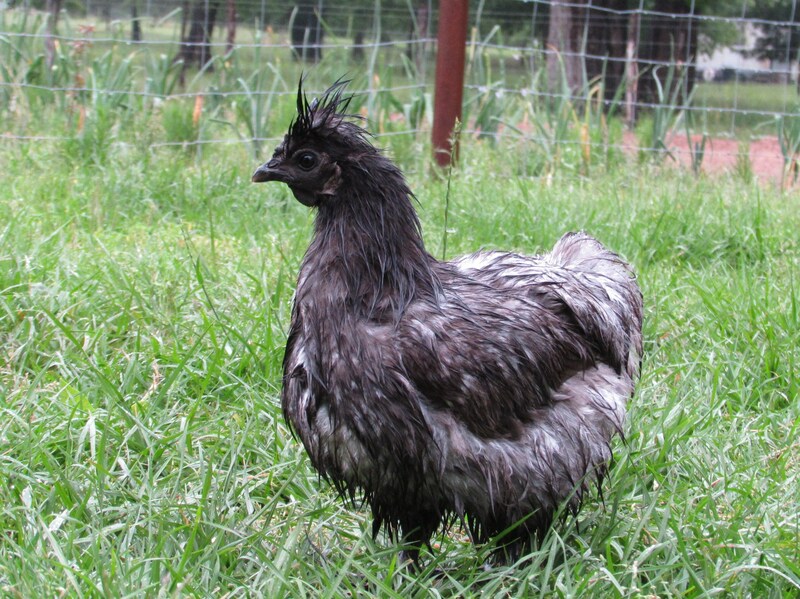 I love my silkie, wet or dry! And we are SO thankful for the much needed rain! 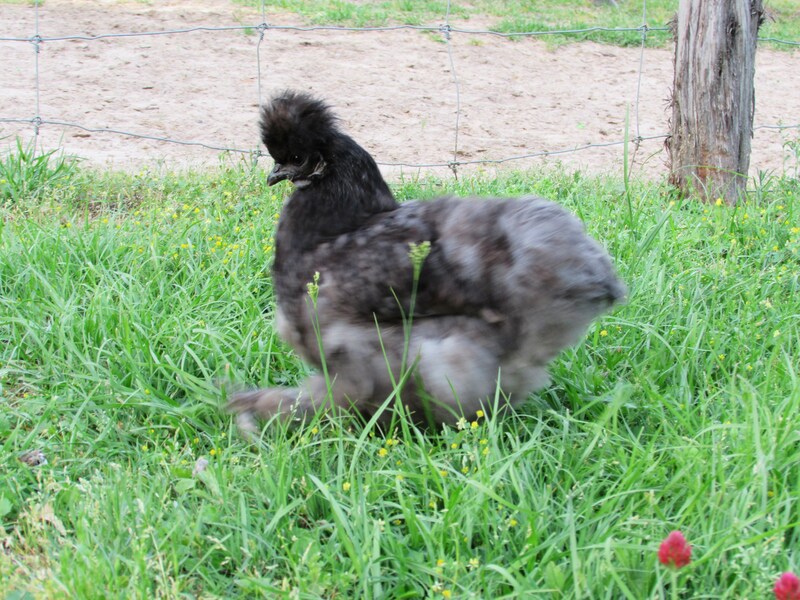 ← Oh look, a Turkey! 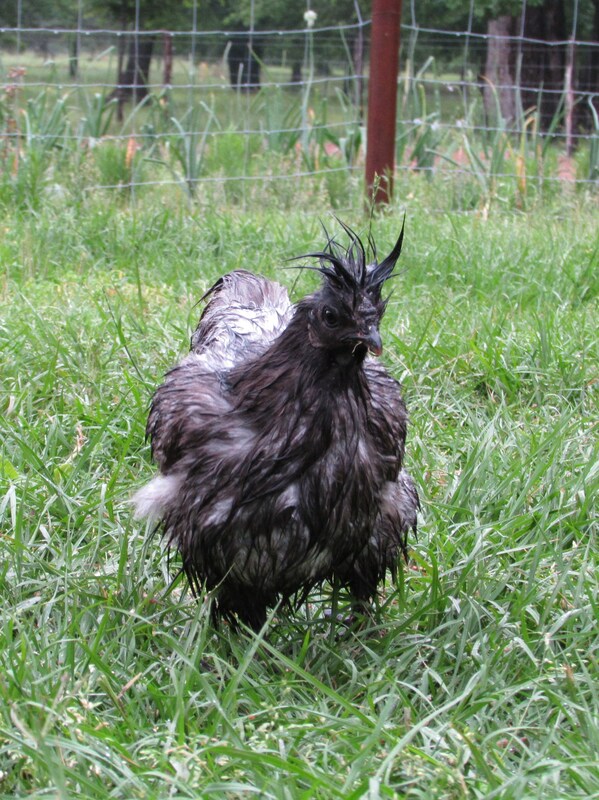 Or actually, a bad feather day! I know! 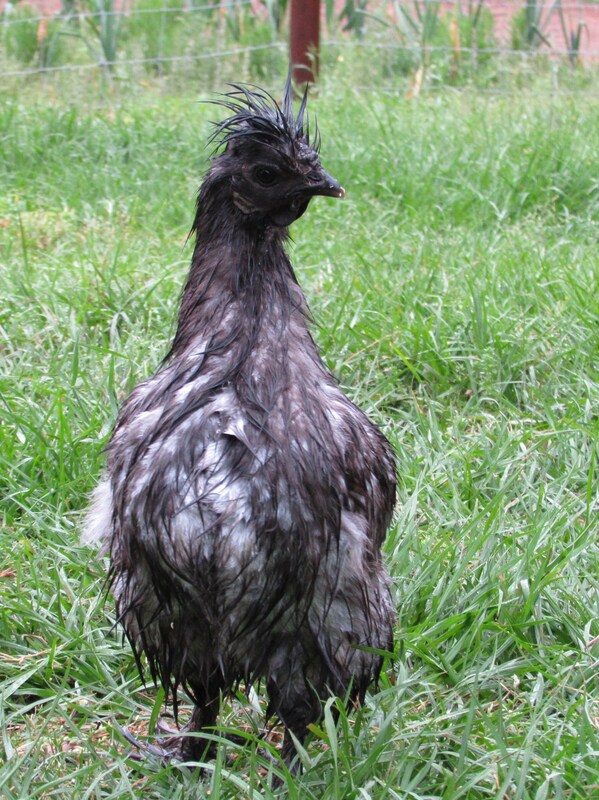 Wet weather does nothing for the silkie’s looks (or mine either for that matter).